When the temps go up, you may find yourself dreading your daily moisturizer. Your favorite face cream might feel heavy or cloying, no matter how much you loved it just a few months ago! On the flip side, your oily or acne-prone skin might be begging for hydration without the texture of a traditional face cream. Applying a thick cream feels wrong, yet not hydrating your skin throws it even more off balance. If either of these situations sound familiar, it’s time to switch to a lighter-weight face moisturizer! Aqua Soothing Gel Cream is the product you need if your skin is feeling the heat, or if you have more oily or acne-prone skin. 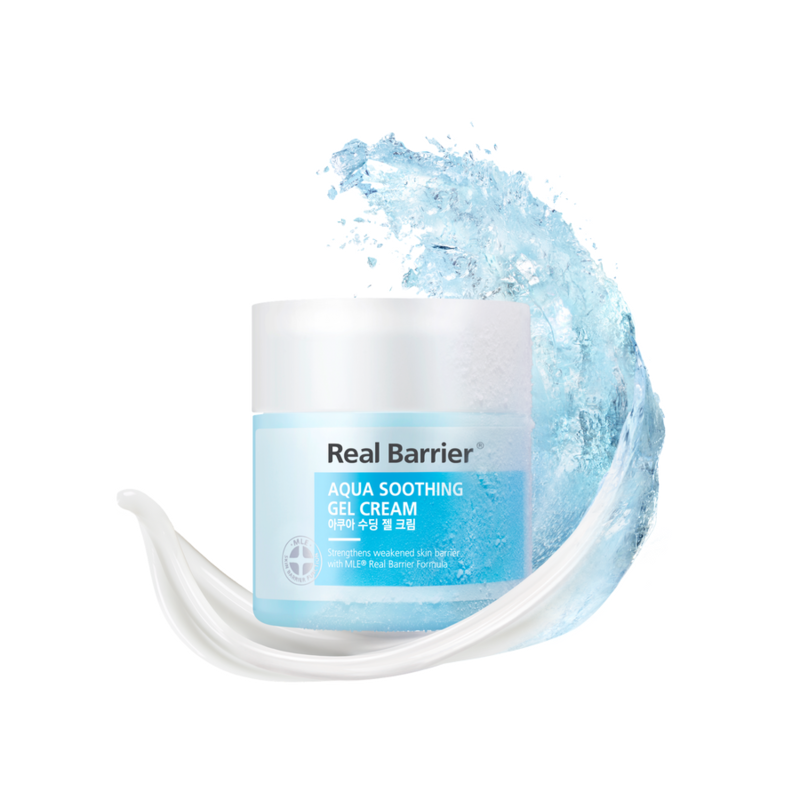 It instantly soothes and cools skin upon application and works hard to repair damage and irritation, all while deeply moisturizing skin with a lightweight texture. The gel-cream formula features five forms of hyaluronic acid to deeply replenish hydration levels while soothing feelings of dryness and discomfort. Because it cools on contact, it’s the perfect choice for skin that’s been dehydrated by swimming or burned by too much sun exposure! Aqua Soothing Gel Cream can be used by any skin type that seeks a calming and comforting skin care experience, but it’s especially ideal for skin that suffers from eczema, rosacea, and other irritating skin conditions, as well as oily and acne-prone skin types.